I love seasonal decorating! Whatever the holiday or season, the decor in our house will be changing. I don't really have any standard big pieces because of this. For each holiday, I usually create something and then shop around our house for things that would work well. 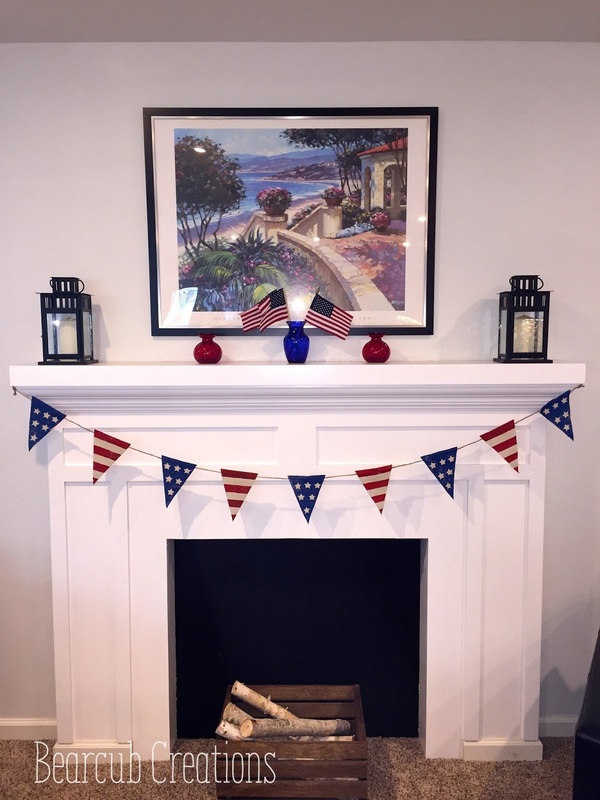 So starting in May, I decided to decorate our house in an Americana style. With Memorial Day leading into the 4th of July, it bridged the 2.5 months together. things pretty simple and subdue since it's a time of remembrance of those who fought for our country's freedom. I made the Stars and Stripes banner using this tutorial by Addicted 2 DIY. It turned out great and I made extra to decorate our front porch for our 4th of July party. Then in June my mom and I went to a very fun craft night called "Queen Bee Market Craft Night" and made the felt ball jars. We decided to go patriotic so that we could use them as center pieces. 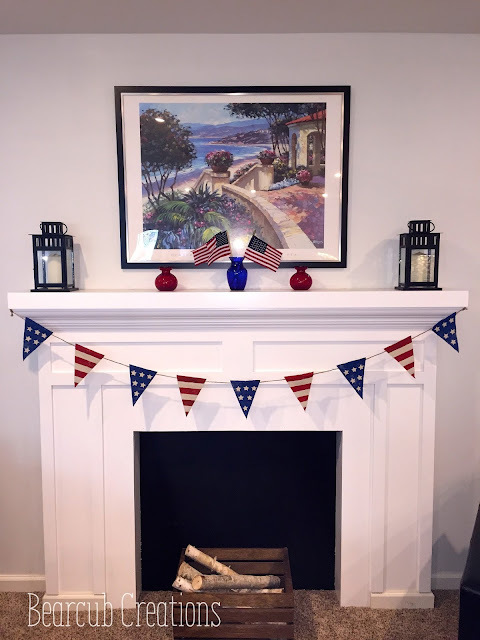 When we got home we added the star tinsel pieces and it was a great addition to make the mantel more 4th of Julyish! The biggest thing that I've been learning this year with decorating my mantel is that is doesn't have to be expensive or full of things to look nice. We all have things around our homes or things we can make for a small price that can give our homes life and a festive flair!